A Crohn’s Disease inspired garden, – Facing Fear: Finding Hope – will be one of the show gardens at the 2017 RHS Flower Show Tatton Park (19th to 13rd July 2017) aimed at highlighting the work of the charity and raising awareness of Crohn’s and Colitis illnesses. 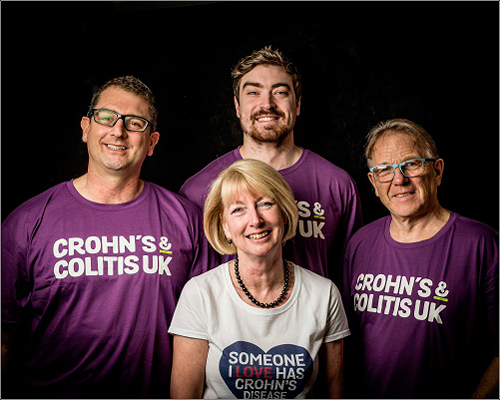 The idea for the Crohn’s and Colitis UK charity garden was conceived when Denise Shields, a passionate amateur gardener, experienced first-hand the devastating effects of the disease when her son Callum had a severe relapse from the condition which nearly cost him his life. It took Callum two years to fully enter remission and during that time the charity was able to provide support for him. Now, inspired by the bravery and resilience shown by her son, she wanted to do something positive to help him and all those people who are affected by these dreadful conditions. The garden is her practical way to help highlight the conditions and the work of the charity. 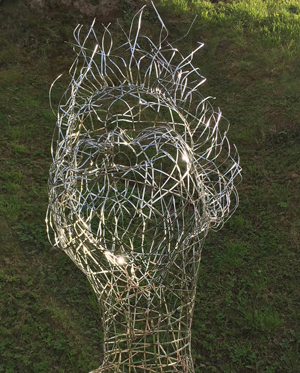 Working with Denise, the garden has been designed by Rory Tompsett and Peter Hulland and will share the story of an individual’s emotional journey through illness and remission. 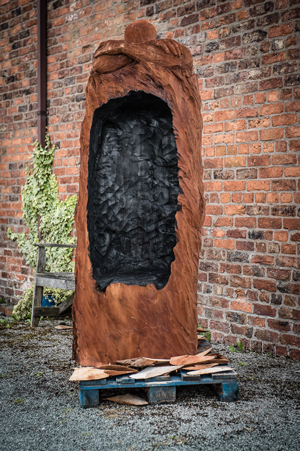 Beginning the journey with Facing Fear – an uninviting place – the garden will represent the sensations of pain and far by the dark colour and texture of the planting. When exhaustion becomes overwhelming, the bespoke redwood chair provides a welcome place to retreat. The carved redwood canopied chair -‘Alone‘ – designed by Simon O’Rourke, offers the perfect place to hide away and retreat during this phase of the emotional journey. (pictured left). Steps, drawing the visitor downward into Finding Hope, represented by a bright sunken area, reflect the transition towards better health. The design incorporates a formal hedge, denoting an inner boundary, a reminder that Crohn’s Disease has no known cure and those diagnosed have to learn to manage the disease. Denise points out that as a passionate gardener she had this bonkers idea that she would like to build a garden and do it for charity: “With my son Callum being so unwell, his bravery and resilience inspired me and I wanted to give something back,” she says. “It has been a challenge to get the garden into production but I have been overwhelmed by the generosity of sponsors and people wanting to support the garden. Callum is proud of his mum’s determination to make the project a success and is very happy to be the inspiration for the show garden. Funding any show garden is never easy and Denise had to secure over thirty partners and sponsors single handedly. Enlisting the help of talented designers Rory Tompsett and Peter Hulland has enabled her to provide a powerful representation of an individual’s journey through illness and remission. Crohn’s Disease and Ulcerative Colitis are the two main forms of inflammatory Bowel Disease (IBD) and can cause ulceration and inflammation in the colon or any part of the digestive system. 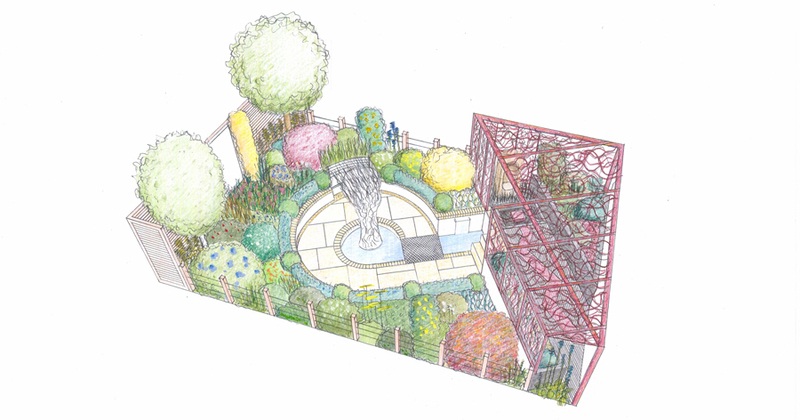 We wish all the team well in their build-up at RHS Tatton Park and look forward to seeing the finished garden.